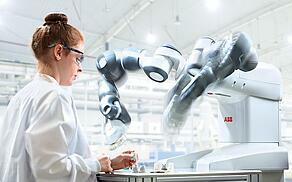 Is ABB's YuMi the Next Generation of Collaborative Robot? 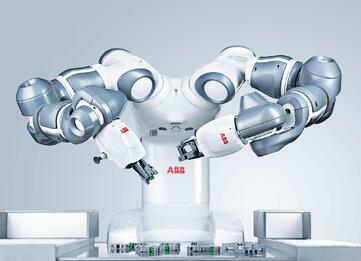 ABB has been a leading robotics company for a very long time. With industrial robots of every size, pre-engineered robotic cells and embedded force torque control, they produce a bunch of stuff that pretty much covers every aspect of industrial robotics. They only needed to add a collaborative robot to their product line to complete it. Well, this is now done. YuMi, their first collaborative robot has been commercially launched at the Hannover Fair on April 15 2015. Officially launched in September 2014, YuMi will be commercially available after the show. It's been a long process to developed and launch this robot. The robot, initially called Frida was announced in 2013. The concept sounded quite revolutionary at the time. And as time went by a couple of other robot manufacturers have come out with similar designs. 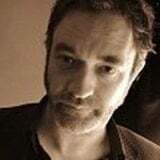 If you simply think about Baxter, it is the same humanoid, dual-arm, collaborative principle. However, ABB waited or worked on other iterations on the robot and finally change its name to YuMi (for you and me) last September and decided to launch it in Germany near their headquarters in Switzerland. YuMi is designed to work side-by-side with humans and still ensure the safety of those around it. ABB claims YuMi can handle anything from a Swiss watch to a tablet PC… and to have a level of accuracy that could thread a needle. ABB's YuMi is designed to be ‘inherently safe’ even when contact occurs. The soft padded dual arms ensure the complete safety of the robot’s co-workers. ABB won the Red Dot Award for its design. The new robot has a vision system, dexterous grippers, sensitive force control feedback, flexible software and built-in safety features that collectively allow for programming through teaching rather than coding. YuMi is a collaborative, dual-arm small parts assembly robot that includes flexible hands, camera-based part location and advanced robot control. It can collaborate, side-by-side, with humans in a normal manufacturing environment enabling companies to get the best out of both humans and robots, together. One of YuMi’s unique features is it’s ‘inherently safe’ rating, meaning it can work alongside humans without posing any risk whatsoever to their safety. 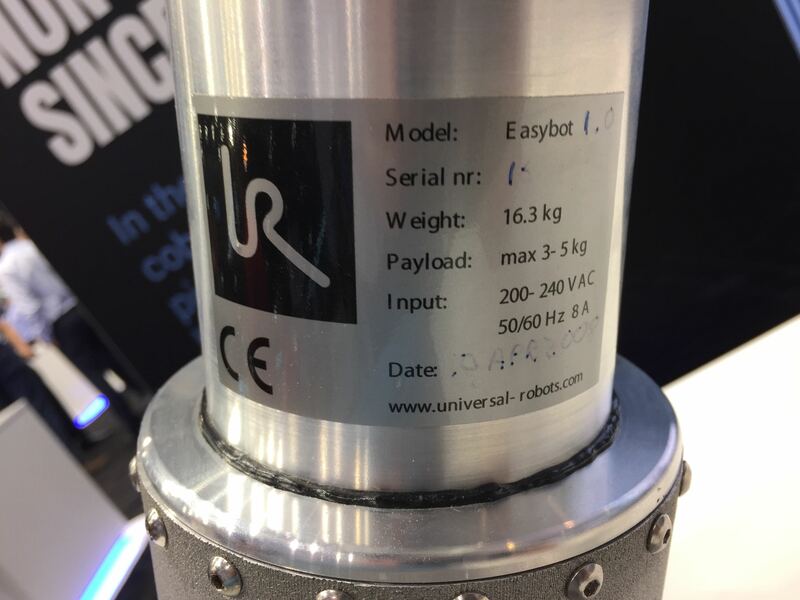 Here is a short list of the main specifications for the new robot. So from these specifications, you can tell that the robot is literally design around electronic assembly applications. The robot is very accurate and has a small payload. This means that it was designed to take small parts and place them in a precise location. ABB is offering gripper options for YuMi. There are not a lot of details on the different grippers, but what we have noticed is that all their grippers are designed to grasp parts using a parallel grip and/or by using suction cups. It also seems like some grippers may come with an embedded vision system. ABB will be selling its Yumi at around $40,000 USD and is for sale immediately. I estimate that such an investment would pay for itself in only two years, with the accompanying productivity and flexibility benefits. But I don’t have any details on the price of the different options and end-effectors. ABB is a global leader in power and automation technologies. Their solutions improve the efficiency, productivity and quality of their customers’ operations while minimizing environmental impact. Innovation is at the forefront of what they do and many of the technologies that drive modern society were pioneered by ABB. Honnover Messe is a biennial event held in Germany. 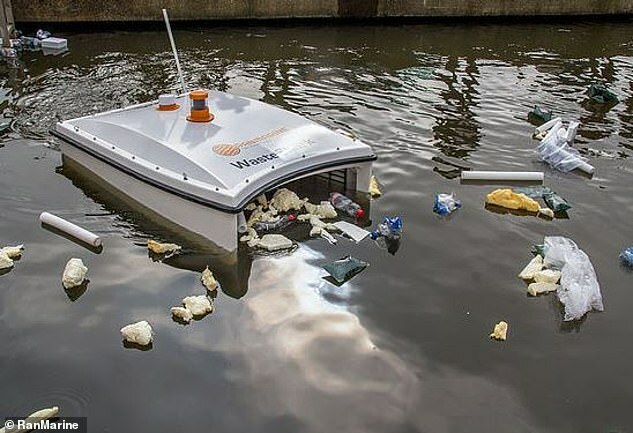 It is the European equivalent of Automate. Companies bring their new products and innovations to this fair to show them off to the world. The robot looks pretty cool and seems to work well. We have seen prototypes in different shows and expos since 2013. However, I don’t know of any real applications that have been done with the robot. Up till now, it has always been demonstrated in a controlled environment. In the meantime YuMi is part of our eBook on collaborative robots, you may want to take a look at this document to have a better idea of the different robots out there. 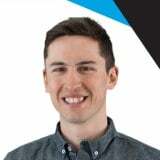 Mathieu is a production engineer at Robotiq, where he constantly strives to optimize the production line for Robotiq Grippers. 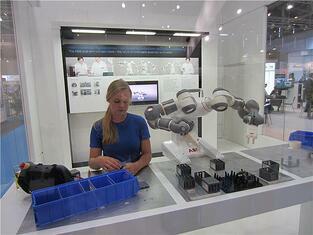 He enjoys discovering new robotic applications and sharing what he learns on Robotiq's blog.